Two of the biggest trends in applications development in recent years have been the rise of serverless and containerization. Today at Google Cloud Next, the company announced a new product called Cloud Run that is designed to bring the two together. At the same time, the company also announced Cloud Run for GKE, which is specifically designed to run on Google’s version of Kubernetes. “Cloud Run is introducing a brand new product that takes Docker containers and instantly gives you a URL. This is completely unique in the industry. We’re taking care of everything from the top end of SSL provisioning and routing, all the way down to actually running the container for you. You pay only by the hundred milliseconds of what you need to use, and it’s end-to-end managed,” Teich explained. All of this is made possible through yet another open-source project the company introduced last year called Knative. 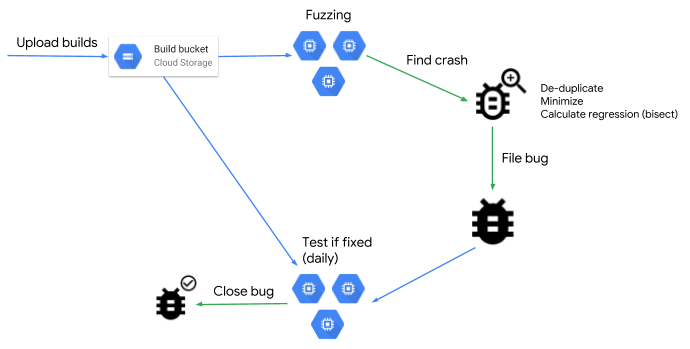 “Cloud Run is based on Knative, an open API and runtime environment that lets you run your serverless workloads anywhere you choose — fully managed on Google Cloud Platform, on your GKE cluster or on your own self-managed Kubernetes cluster,” Teich and Eyal Manor, VP of engineering, wrote in a blog post introducing Cloud Run. Chef, the popular automation service, today announced that it is open-sourcing all of its software under the Apache 2 license. Until now, Chef used an open core model with a number of proprietary products that complemented its open-source tools. Most of these proprietary tools focused on enterprise users and their security and deployment needs. Now, all of these tools, which represent somewhere between a third and a half of Chef’s total code base, are open source, too. He added that this also includes open product development. Going forward, the company plans to share far more details about its roadmap, feature backlogs and other product development details. All of Chef’s commercial offerings will also be built from the same open-source code that everybody now has access to. Scobie noted there are a number of reasons why the company is doing this. He believes, for example, that the best way to build software is to collaborate in public with those who are actually using it. Chef’s decision comes during a bit of a tumultuous time in the open-source world. A number of companies like Redis, MongoDB and Elastic have recently moved to licenses that explicitly disallow the commercial use of their open-source products by large cloud vendors like AWS unless they also buy a commercial license. It’s worth noting that Chef also today announced the launch of its Enterprise Automation Stack, which brings together under a unified umbrella all of Chef’s tools (Chef Automate, Infra, InSpec, Habitat and Workstation). The amount of data that the big cloud computing providers now store is staggering, so it’s no surprise that most store all of this information as compressed data in some form or another — just like you used to zip your files back in the days of floppy disks, CD-ROMs and low-bandwidth connections. Typically, those systems are closely guarded secrets, but today, Microsoft open sourced the algorithm, hardware specification and Verilog source code for how it compresses data in its Azure cloud. The company is contributing all of this to the Open Compute Project (OCP). Project Zipline, as Microsoft calls this project, can achieve 2x higher compression ratios compared to the standard Zlib-L4 64KB model. To do this, the algorithm — and its hardware implementation — were specifically tuned for the kind of large data sets Microsoft sees in its cloud. Because the system works at the systems level, there is virtually no overhead and Microsoft says that it is actually able to manage higher throughput rates and lower latency than other algorithms are currently able to achieve. Microsoft is currently using this system in its own Azure cloud, but it is now also partnering with others in the Open Compute Project. Among these partners are Intel, AMD, Ampere, Arm, Marvell, SiFive, Broadcom, Fungible, Mellanox, NGD Systems, Pure Storage, Synopsys and Cadence. 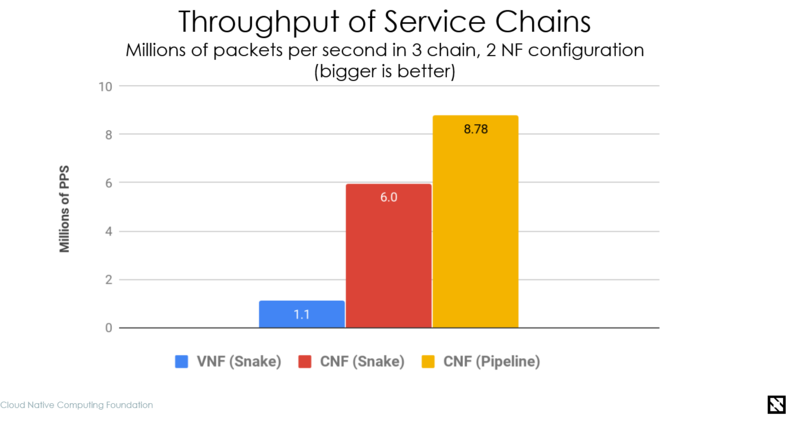 “Over time, we anticipate Project Zipline compression technology will make its way into several market segments and usage models such as network data processing, smart SSDs, archival systems, cloud appliances, general purpose microprocessor, IoT, and edge devices,” writes Vaid. Redis Labs, fresh off its latest funding round, today announced a change to how it licenses its Redis Modules. This may not sound like a big deal, but in the world of open-source projects, licensing is currently a big issue. That’s because organizations like Redis, MongoDB, Confluent and others have recently introduced new licenses that make it harder for their competitors to take their products and sell them as rebranded services without contributing back to the community (and most of these companies point directly at AWS as the main offender here). The point of these new licenses it to put a stop to this. This is not the first time Redis Labs has changed how it licenses its Redis Modules (and I’m stressing the “Redis Modules” part here because this is only about modules from Redis Labs and does not have any bearing on how the Redis database project itself is licensed). Back in 2018, Redis Labs changed its license from AGPL to Apache 2 modified with Commons Clause. The “Commons Clause” is the part that places commercial restrictions on top of the license. That created quite a stir, as Redis Labs co-founder and CEO Ofer Bengal told me a few days ago when we spoke about the company’s funding. The way the code was licensed, though, created a bit of confusion, the company now says, because some users thought they were only bound by the terms of the Apache 2 license. Some terms in the Commons Clause, too, weren’t quite clear (including the meaning of “substantial,” for example). 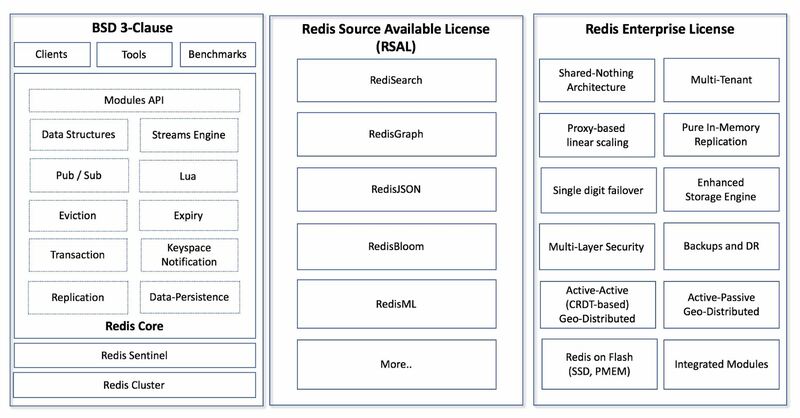 So today, Redis Labs is introducing the Redis Source Available License. This license, too, only applies to certain Redis Modules created by Redis Labs. Users can still get the code, modify it and integrate it into their applications — but that application can’t be a database product, caching engine, stream processing engine, search engine, indexing engine or ML/DL/AI serving engine. By definition, an open-source license can’t have limitations. This new license does, so it’s technically not an open-source license. In practice, the company argues, it’s quite similar to other permissive open-source licenses, though, and shouldn’t really affect most developers who use the company’s modules (and these modules are RedisSearch, RedisGraph, RedisJSON, RedisML and RedisBloom). This is surely not the last we’ve heard of this. Sooner or later, more projects will follow the same path. By then, we’ll likely see more standard licenses that address this issue so other companies won’t have to change multiple times. Ideally, though, we won’t need it because everybody will play nice — but since we’re not living in a utopia, that’s not likely to happen. It’s a big day for Timescale, makers of the open-source time-series database, TimescaleDB. The company announced a $15 million investment and a new enterprise version of the product. The investment is technically an extension of the $12.4 million Series A it raised last January, which it’s referring to as A1. Today’s round is led by Icon Ventures, with existing investors Benchmark, NEA and Two Sigma Ventures also participating. With today’s funding, the startup has raised $31 million. Timescale makes a time-series database. That means it can ingest large amounts of data and measure how it changes over time. This comes in handy for a variety of use cases, from financial services to smart homes to self-driving cars — or any data-intensive activity you want to measure over time. While there are a number of time-scale database offerings on the market, Timescale co-founder and CEO Ajay Kulkarni says that what makes his company’s approach unique is that it uses SQL, one of the most popular languages in the world. Timescale wanted to take advantage of that penetration and build its product on top of Postgres, the popular open-source SQL database. This gave it an offering that is based on SQL and is highly scalable. Timescale admittedly came late to the market in 2017, but by offering a unique approach and making it open source, it has been able to gain traction quickly. 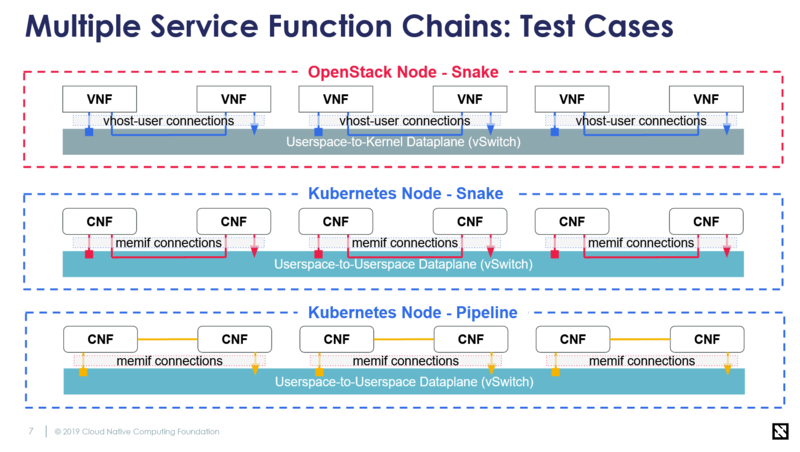 “Despite entering into what is a very crowded database market, we’ve seen quite a bit of community growth because of this message of SQL and scale for time series,” Kulkarni told TechCrunch. In just over 22 months, the company has more than a million downloads and a range of users from older guard companies like Charter, Comcast and Hexagon Mining to more modern companies like Nutanix and and TransferWise. With a strong base community in place, the company believes that it’s now time to commercialize its offering, and in addition to an open-source license, it’s introducing a commercial license. “Up until today, our main business model has been through support and deployment assistance. With this new release, we also will have enterprise features that are available with a commercial license,” Kulkarni explained. The commercial version will offer a more sophisticated automation layer for larger companies with greater scale requirements. It will also provide better lifecycle management, so companies can get rid of older data or move it to cheaper long-term storage to reduce costs. It’s also offering the ability to reorder data in an automated fashion when that’s required, and, finally, it’s making it easier to turn the time series data into a series of data points for analytics purposes. The company also hinted that a managed cloud version is on the road map for later this year. The new money should help Timescale continue fueling the growth and development of the product, especially as it builds out the commercial offering. Timescale, which was founded in 2015 in NYC, currently has 30 employees. With the new influx of cash, it expects to double that over the next year.